A prominent Sunshine Coast business recently shared their experiences following a devastating fire in February that was believed to have started with a failed franking machine or cordless handset in their office. The alarm was raised at 3.00am in the morning by a local courier with the fire service arriving on site within minutes. A ten minute delay in the response time would have resulted in the business being completely destroyed as opposed to an equally staggering $750,000 damages bill. This brings an important point to the forefront – does your business have fire alarms? If the courier had not been passing when he did, the business would be gone. This case study not only illustrates that this devastating event can happen to anyone, but also the need for venues to ensure that they have current and accurate insurances policies. Insurance in an important aspect in any business. Having the right cover can make the difference between business continuity or closing your doors forever. 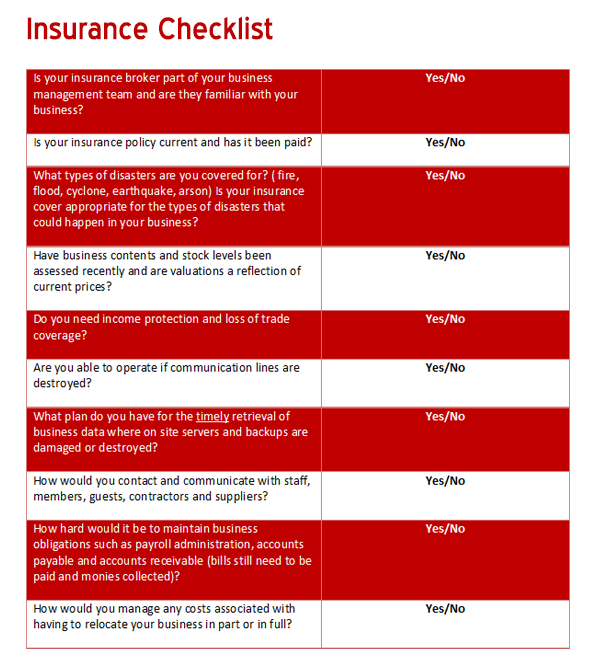 Below is a checklist questions that will help you gain the most appropriate insurance cover. Undertaking these simple tasks will not only minimise the risk of an incident occurring, but will also help with the insurance process, as you can validate that you were taking all practicable measures and ensure that you were maintaining your equipment. DWS Risk Specialists have developed years of industry experience in providing comprehensive fire safety audits. 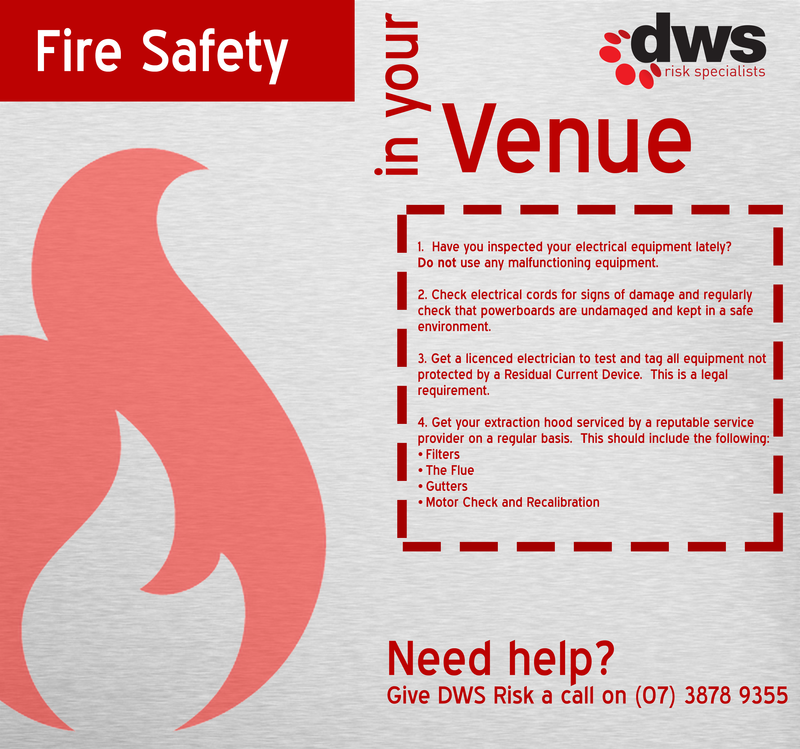 Maximise your insurance cover and protect your venue by contacting DWS Risk to find out how we can assist.